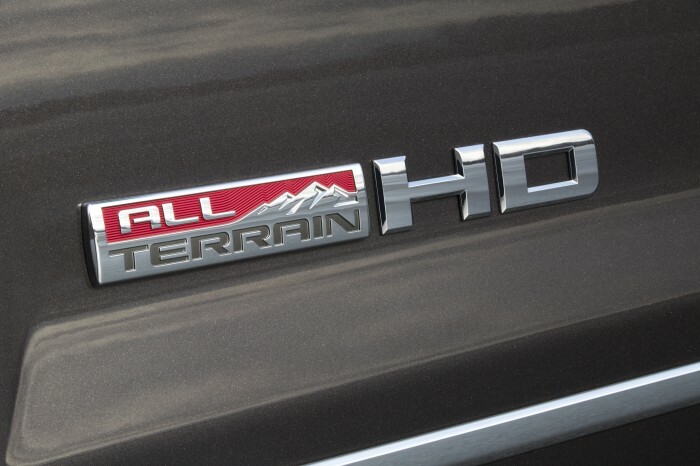 The 2015 Sierra HD All Terrain, announced today. 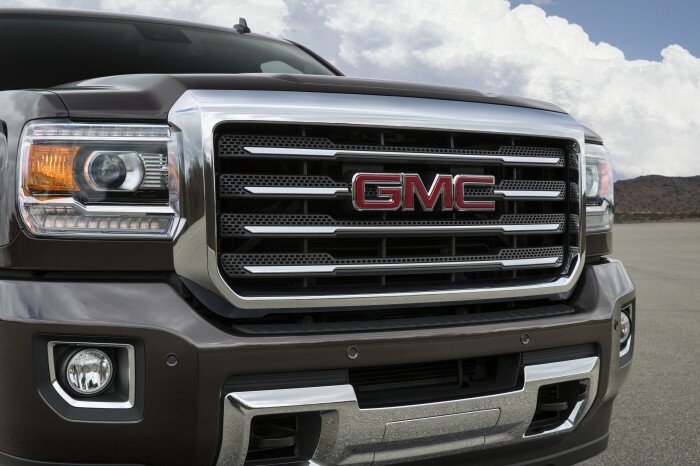 Earlier today, GMC introduced the all-new 2015 Sierra All Terrain HD, which will hit dealership lots this summer. 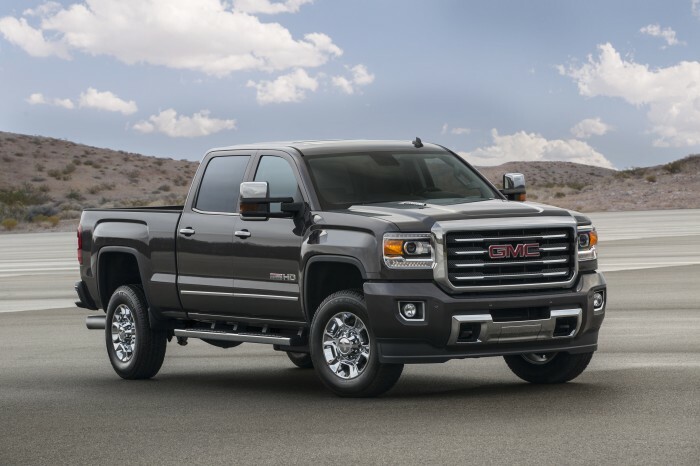 The 2015 Sierra All Terrain HD will be available on 2500HD and 3500HD double cab and crew cab models on both the SLE and SLT trims, with four-wheel drive. A Z71 Off Road package with hill descent, Rancho twin-tube shocks, and a skid plate is featured as well. 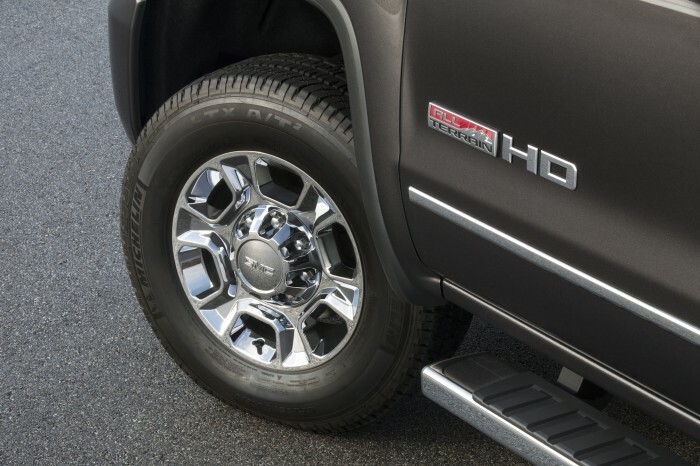 Exclusive design features for the 2015 Sierra All Terrain HD include 18-inch six-spoke chrome cast-aluminum wheels, aluminum underbody shields, a chrome surround on the grille, and exterior graphics. 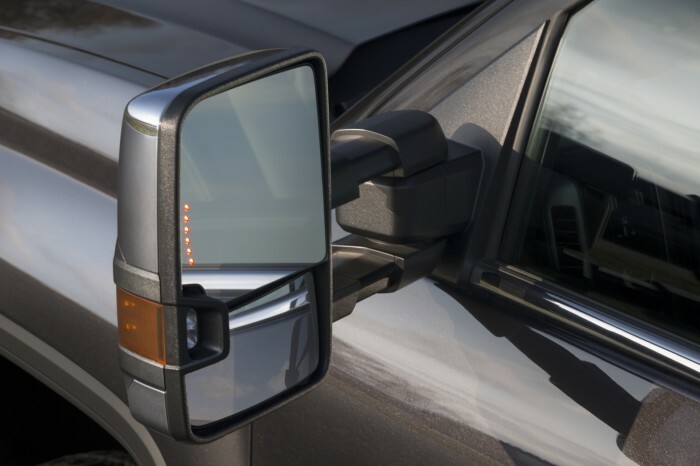 Drivers can upgrade to 20-inch chrome aluminum wheels on the 2500HD; 3500HD models also feature adjustable outside camper mirrors, complete with a chrome cap. Other exterior features include body-color bumpers (with chrome bumpers available), body side moldings, a chrome front-lower bumper plate, chrome mirrors covers, and light-emitting diode signature headlamps. 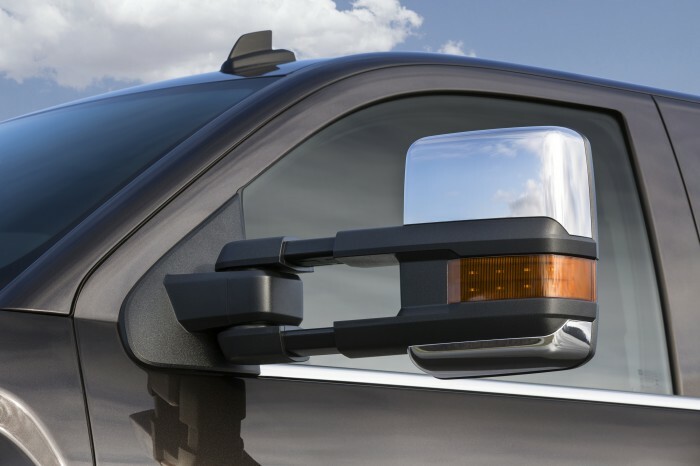 Featured on the interior are a rearview camera and a carbon fiber-inspired theme that sets the All Terrain model apart from its siblings, complete with the ALL TERRAIN logo housed on the instrument cluster. 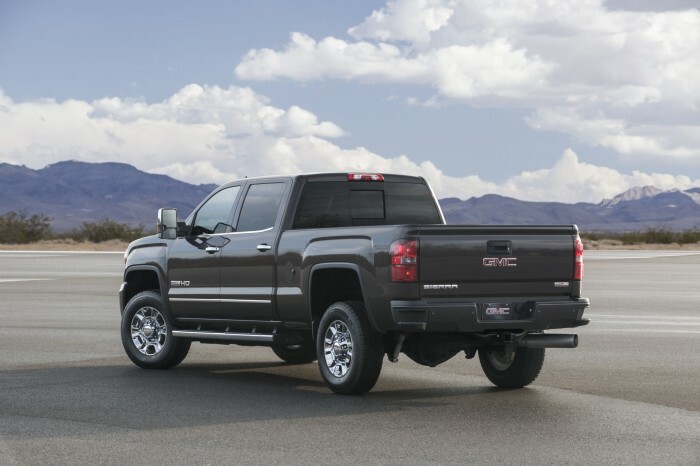 The 2015 Sierra All Terrain HD is powered by a 6.0-liter gas engine, though a Duramax turbo-diesel is available. 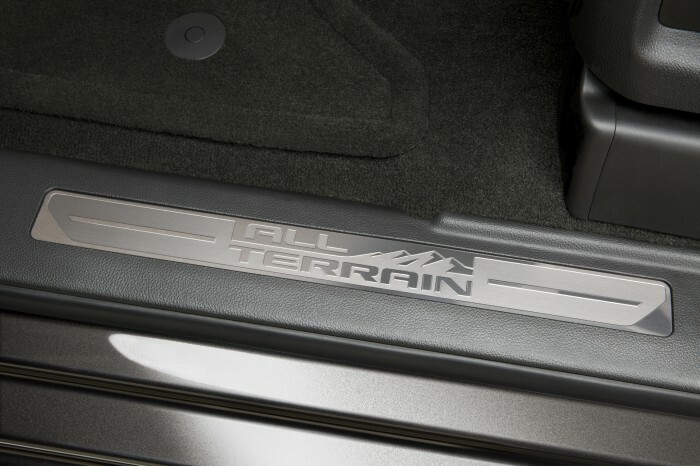 In addition, the All Terrain model boasts many of the other features distinct to the HD lineup, including the CornerStep rear bumper, EZ Lift and Lower tailgate, StabiliTrak, integrated cruise control, Duralife™ disc brake rotors, and enhanced cooling airflow. 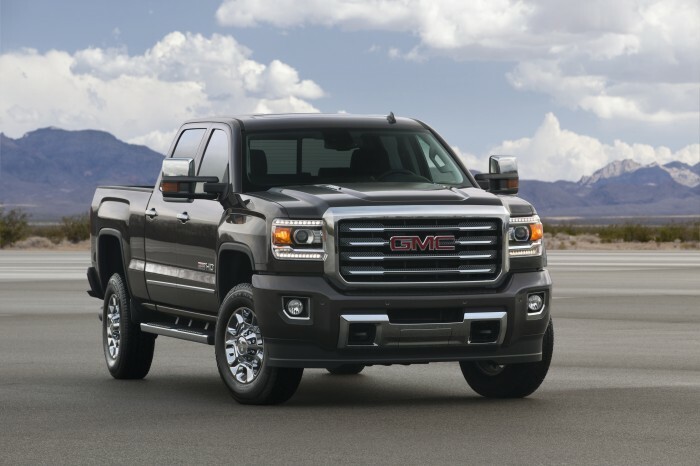 Like most other 2015 GM models, the 2015 Sierra All Terrain HD will feature OnStar with 4G LTE. The 2015 GMC Terrain will be the first GMC model to offer OnStar 4G LTE capabilities when it launches this summer.